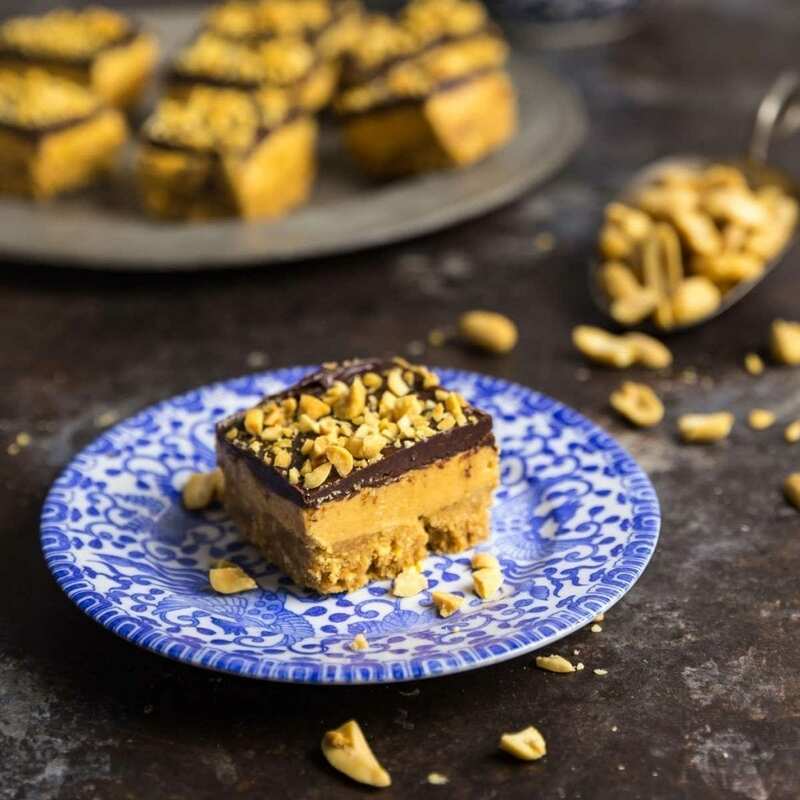 Three layers of delicious: these ultra-decadent peanut butter bars are a guaranteed crowd pleaser. 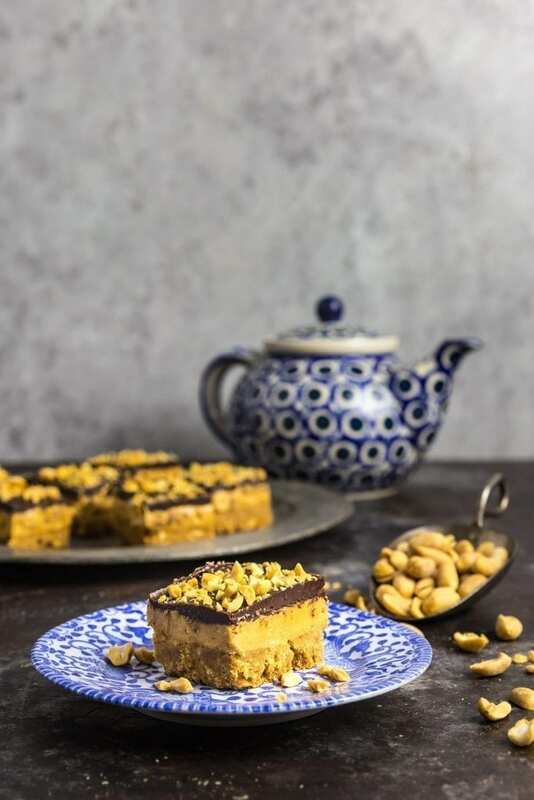 The base is a crunchy, buttery graham cracker cookie, the middle is a generous layer of creamy whipped peanut butter and the top is silky chocolate ganache sprinkled with chopped roasted peanuts. Get ready to perform some crowd control. A couple of weeks ago, I was working on a list of ideas for treats Matt and I might make for the fifth annual For Goodness Bake sale (an amazing event, hosted by our lovely friends, Kristen Pratt and Tara Tornello). This thing is a big deal and our fellow Beaconites go all out, making all kinds of delicious cookies, cakes, tarts, cupcakes and savories, all to sell for a good cause. It’s kind of like the Great British Baking Show, but without a tent and with a lot more cursing (we are Americans, remember). So I’m reading the list to Matt who, to be fair, has spent a long day fixing computer whatsits and thingamajigs (technical terms), so he’s on the Playstation, drinking a can of beer, and barely paying attention to what I’m saying. 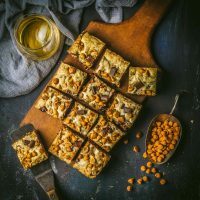 “Brown Butter Hazelnut Blondies” get a shrug. “Lemon and Rosemary Tarlets” get a pout and narrowed eyes. “Salted Caramel Cheesecake Bars”: a huff and a raised eyebrow. “That one,” he interrupts, throwing the game controller aside, suddenly as focused as a lion in Sainsbury’s that just spotted a shepherd’s pie in the sale bin. I described my idea, a buttery cookie crust studded with crunchy peanuts. Whipped, almost airy peanut butter buttercream. Chocolate ganache topped with chopped roasted salted peanuts. Yeah, now he’s paying attention. And so our decision was made. This is Emily again (I’ve wrested the laptop away from Matt who was muttering incoherently about some dude named Pliny). 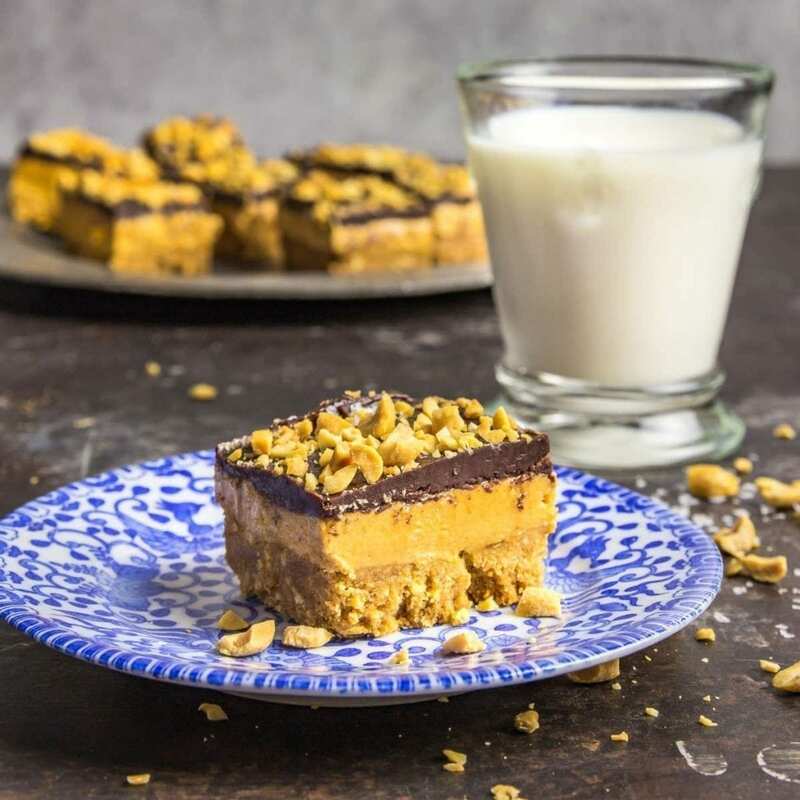 I know you’re here for Peanut Butter Bars, so that what I’m going to talk about. Starting with the crust. 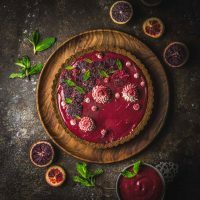 This is a classic graham cracker crust, but with two differences: it’s extra thick, to give support to the layers above, and it also has coarsely ground roasted peanuts in it, for an extra-crunchy texture. The nice thing is it’s the only part of these bars that need the oven, making these bars essentially no-bake. Make sure to allow the crust to fully cool before you fill it. The star of the show is the middle layer: creamy whipped peanut butter. We use a similar version in our Peanut Butter-filled Brownie Cookies and boy, is it ever popular. It’s a pretty straightforward process, mixing together peanut butter, butter, confectioner’s sugar vanilla and cream. The trick is to whip the mixture until it gets lighter in both color and texture. If you’re using a stand mixer, you’ll want to switch from the paddle attachment to the whisk, which allows more air to be incorporated. If you’re using a handheld mixer, just keep whipping on high until you see the texture change. 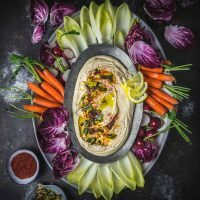 One note: this is not the place to use natural-style peanut butters which tend to separate (you’ll often see oil on top that needs to be mixed in before using). You want a fully emulsified product like Jif or Skippy. Once the peanut butter filling is fully whipped, pour it onto the cooled crust, smooth it out with a butterknife (or my favorite tool, an offset spatula), cover it with some clingfilm and refrigerate it for at least 20 minutes (or overnight). Once the peanut butter layer is very cold, you can cover it with the chocolate ganache. Simply heat the cream to a simmer and pour it over the chocolate chips. Let it sit for a minute so the chocolate melts and then stir it together until it’s smooth and silky. If for some reason your chocolate doesn’t melt enough, you can pop it into the microwave on 30 second bursts until it’s done. Let the chocolate sit for a few minutes until it cools to warm room temperature, then pour it over the peanut butter layer and smooth it out. Sprinkle over the chopped peanuts while the chocolate’s still melty, and gently press it in a little so it sticks. Then chill the pan until you’re ready to serve them. We like them best served cold, straight out of the refrigerator but they’re also delicious at room temperature. One thing I forgot to mention, if you value your sanity, make sure you line your 9×13 inch baking pan with foil, leaving an inch or two overhang so, when the bars are done, you can simply lift the whole thing out and cut them up. Bake sale boss level: unlocked. For the Crust: Preheat oven to 350ºF and adjust oven rack to lower-middle position. Line a 13 by 9-inch pan with aluminum foil, allowing an extra inch or two of foil to hang over edges of pan. In the bowl of a food processor, process crackers until fine crumbs form. Add peanuts to the crumbs and pulse until nuts are coarsely chopped. Add in sugar, salt and butter and pulse a few more times until combined. 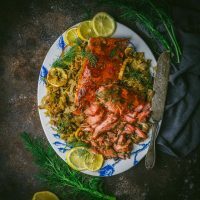 Pour into prepared pan and, using your fingers or the bottom of a glass, firmly press into an even layer. Bake until set and beginning to brown, about 12 to 14 minutes. Set aside and allow to cool completely. For the Peanut Butter filling: Place the confectioners' sugar, peanut butter, butter, cream, vanilla, and salt in the bowl of an electric mixer fitted with a paddle attachment. Mix on medium-low speed until smooth and well-mixed, scraping down the bowl with a rubber spatula as you work, about 2 minutes. Switch to wire whisk and whip on medium-high speed until the mixture is lighter in color and a little fuller in volume, 3 to 4 minutes. Pour on top of cooled crust and spread evenly with an offset spatula or butter knife. Chill for at least 20 minutes before topping with chocolate. For the chocolate topping: Add chocolate chips to a heat-proof bowl. Heat heavy cream in a small saucepan set over medium-low heat until just simmering. Pour hot cream over chips and let sit for 3 minutes. Stir until mixture is smooth. Stir in vanilla extract. Allow chocolate to cool slightly, about 5 minutes, then spread evenly over chilled peanut butter layer. Sprinkle with chopped peanuts. Refrigerate for at least 20 minutes before cutting. Serve chilled, directly from the refrigerator or at cool room temperature. Not to be egotistical, but I kinda feel like you made this just for me. Looks SO delicious and so peanut-buttery. Cannot wait to try! Hi Claire, Hope you enjoy them if you give them a go!